Which one of the following is the example of subsistence farming? Subsistence farming is self-sufficiency farming in which the farmers grow enough food to feed themselves and families. It is mostly practised in developing countries. Shifting cultivation is a type/example of subsistence farming in which the farmers clear a patch of forest land by feeling and burning of trees and then crops are grown. Which of the following methods is/are suitable for soil conservation in hilly region? Level terrace or contour bunding involves construction of bind passing through the points having same elevation (contour). Contour ploughing is the farming practice of ploughing and/or planting across a slope following its elevation contour lines. Which of the following statements regarding recycling is/are correct? 1. Recycling is just the collection and separation of the waste materials. 2. Recycling is the collection and separation of the materials from the waste stream and their subsequent processing to produce a marketable product. 3. 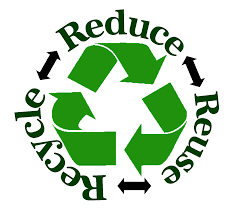 Recycling leads to reduction of waste disposal cost. Recycling is the practice of reusing items that would otherwise be discarded as waste. Variations of recycling include upcycling, which involves adding value to an item for reuse, and downcycling, which involves breaking down an item or substance into its component elements to reuse anything that can be salvaged. Lime reduces soil acidity (increases pH) by changing some of hydrogen ions into water and carbon dioxide (CO2). A Ca + + ion from the lime replaces two H+ ions on the cation exchange complex. The carbonate reacts with water to form bicarbonate. These react with H+ to form H2O and CO2. The pH increases because the H+ concentration has been reduced. 1. Rural forestry aims to raise the trees on community land and on privately owned land. 2. Farm forestry encourages individual farmers to plant trees on their own farmland to meet the domestic need of the family. Rural forestry (also known as community forestry) aims to raise the trees on community land and on privately owned land as in farm forestry. Farm forestry encouraged individual farmers to plant trees on their own farmland to meet the domestic needs of the family. All these schemes are taken up under the social forestry programme.